Dr. A Unnikrishnan graduated from REC (Calicut), India in Electrical Engineering(1975), completed his M.Tech from IIT, Kanpur in Electrical Engineering(1978) with a CGPI of 9.33/10 and Ph.D from IISc, Bangalore in "Image Data Structures"(1988). He served as Associate Director, Naval Physical and Oceanographic Laboratory (NPOL), Kochi, which is a premiere Laboratory of Defense Research and Development Organisation,before joining RSET. His field of interests include Sonar Signal Processing, Image Processing and Soft Computing. He has authored about hundred National and International Journal and Conference Papers. 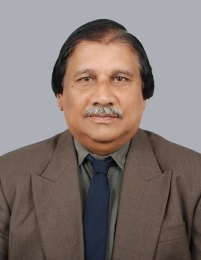 He is a Fellow of IETE & IEI, India and Recognised thesis supervisor,Cochin University.